A suspect identified by Turkey in the disappearance of Saudi journalist Jamal Khashoggi was a frequent companion of the kingdom's powerful Crown Prince Mohammed bin Salman, The New York Times reported Tuesday. Three other suspects are linked to Prince Mohammed's security detail and a fifth is a high-level forensic doctor, the Times said. The account could raise doubt about US President Donald Trump's claim -- after Saudi King Salman strongly denied to him any knowledge of what happened -- that "rogue killers" might have been responsible for Khashoggi's disappearance. Khashoggi, a Saudi national who contributed to The Washington Post and criticized policies of Salman's son Crown Prince Mohammed, has not been seen since October 2, when he went to the Saudi consulate in Istanbul to obtain official documents for his upcoming marriage. Riyadh insists that he left the consulate safely. 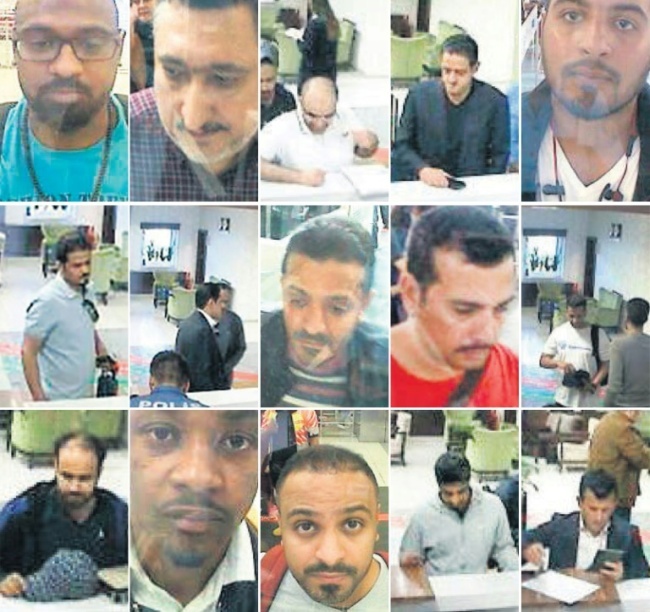 The Times said it confirmed that at least nine of the 15 worked for the Saudi security services, military or other government ministries. It added that Mutreb was also photographed standing guard during Prince Mohammed's visits in the United States to Houston, Boston and the United Nations. 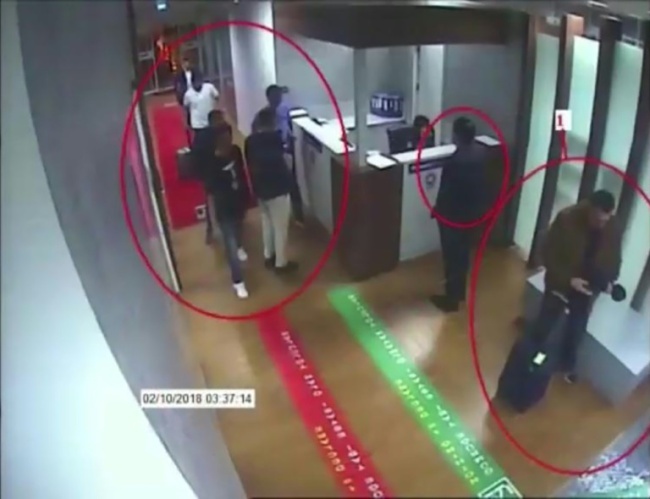 The Times said three other suspects are Abdulaziz Mohammed al-Hawsawi -- a member of the security team that travels with Prince Mohammed -- Thaar Ghaleb al-Harbi, and Muhammed Saad Alzahrani. The fifth suspect is an autopsy expert, Salah al-Tubaigy, who the Times said identified himself on his Twitter account as the head of the Saudi Scientific Council of Forensics. He also held high positions in the Interior Ministry and the kingdom's top medical school, the report said. On Monday, CNN cited two sources as saying the Saudis are preparing a report that Khashoggi's death resulted from a botched interrogation, while The Wall Street Journal said the kingdom was weighing whether to say that rogue operatives killed Khashoggi by mistake.